Glaxo releases 6 mo Dutasteride Results & announces submission of NDA to the FDA. We have the results on how well Dutasteride helped Hair Loss. Dutasteride outperforms Finasteride for hair loss in clinical trial results released this month. Well folks, your patience is starting to pay off. A new treatment which has been in the sights of many hair loss sufferers for many months has officially proven itself more effective than Propecia at maintaining and regrowing hair. The Chart to the left compares Dutasteride’s hair count results (Orange Bars) to 5 times the normal Propecia dosage, and the hair counts it returns (Green Bar). As you can see, though the difference may seem only marginal, Dutasteride has proven itself superior, as a 0.1mg dosage can equal 5 times the Propecia dosage in effect on hair count. New King of Hair Loss Treatment? Propecia used to hold the title as being the most effective clinically proven hair loss treatment on the market. With an 83% maintenance rate after 2 years, it has helped millions of men keep their hair. However, its relatively low success rate at hair regrowth has been a major point against it. 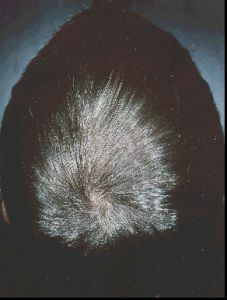 Only 5% of users in the Propecia FDA trials saw moderate regrowth in the Crown, and only 4% in the Vertex. Part of its lackluster sales performance was due to the incredible patience its users required. Sometimes taking up to 1 year to even see a stoppage of hair loss, and nearly a year and a half for some to see any hair thickening at all, many people just don’t bother. Patience is not a very common human trait. Those that stick with it for a full year or more almost always are pleased with the results, but those impatient types may have a new toy to play with come the end of 2001. 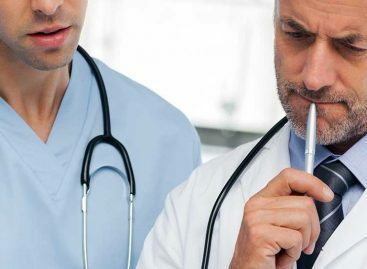 Earlier last month, Glaxo announced that it had submitted an NDA (New Drug Application) to the FDA for GI198745, also known as Dutasteride, for use with Benign Prostatic Hyperplasia. This is the same original use for Finasteride, the active ingredient in Proscar. It wasn’t until men started experiencing hair growth as a side effect, did they bottle it in 1mg form and call it Propecia. So goes the story for Dutasteride. Dutasteride differs from Propecia in that it blocks both types of the enzyme 5-Alpha Reductase, whereas Propecia blocks only one. It is this enzyme that combines with Testosterone to create DHT, which ultimately destroys hair. 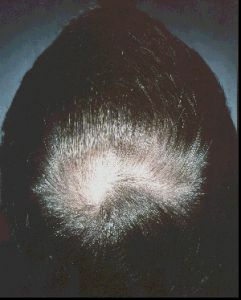 There has been a longstanding debate as to whether blocking the other type of enzyme will have any effect on hair loss. Now we know.